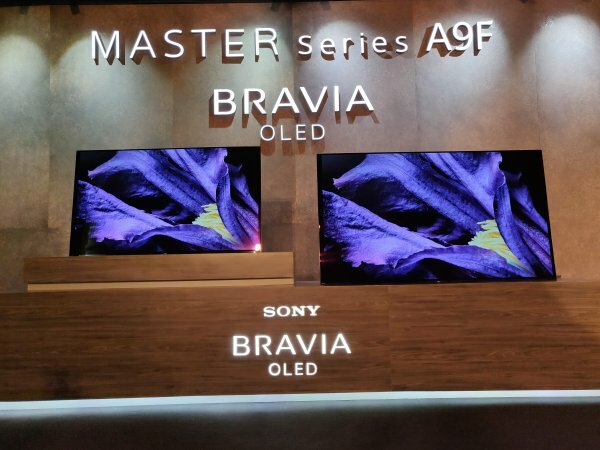 Sony India has launched today Master Series A9F BRAVIA OLED television in the country in two sizes of 55 inches and 65 inches with 4K HDR (3840×2160) displays. This TV is powered by 4K HDR Processor X1 Ultimate and has other features of multi-dimensional sound with acoustic Surface Audio+ technology, Netflix Calibrated Mode, superior contrast enhancement with Pixel Contrast Booster and hands free Voice Search. The A9F MASTER Series comes equipped with a newly developed, next-generation Picture Processor X1 Ultimate. This processor can intelligently detect and analyze each object in the picture through Sony’s new Object-based Super Resolution mechanism for exceptional accuracy and detail as demonstrated by Sony at the launch event. Motreover,the Object-based HDR remaster has been notably updated and now allows each object to be remastered individually for better depth, accurate texture and all-in-all more realistic picture. The new Series is equipped with improved Acoustic Surface Audio+ with an additional actuator in the center of the screen and an extra subwoofer channel, totaling to a 3.2 channel sound system. The additional center actuator acts just like center speakers hidden behind an AT (acoustically transparent) screen which are found in movie theaters. With the three actuators and two subwoofers facing sideways, the A9F creates a rich sound field that greatly enhances the viewing experience. The new series also has a TV Center Speaker Mode that allows the Acoustic Surface Audio+ to be used as the center speaker of a home theater system which further enables users to hear dialogue, vocals and instruments with exceptional clarity. 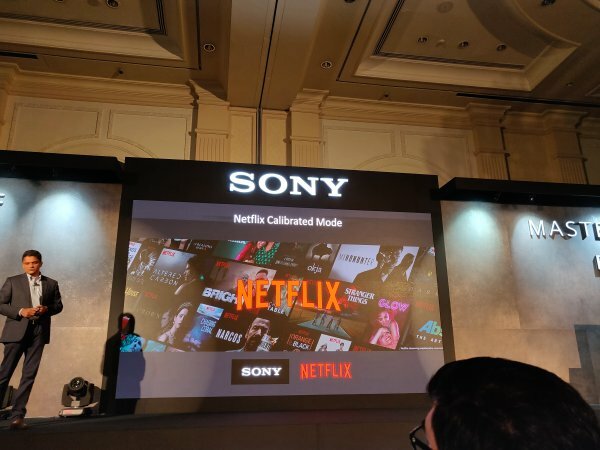 Sony has also introduced “Netflix Calibrated Mode” in the new series. This unique feature was specially developed to mirror the same picture quality as a studio evaluation master for TV, in order to preserve the artists’ creative vision and intent. By accessing one simple menu setting, Netflix Calibrated Mode faithfully reproduces the visuals that help bring a story to life, and entertainment enthusiasts can now enjoy this experience when watching their content on Netflix. The flagship A9F TV is equipped with the Pixel Contrast Booster, which is Sony’s original panel controller for OLED. It maximizes the dynamic range by widening the area of color reproduction at high brightness therefore pictures are enhanced with extra detail and texture. These TVs have a built-in microphone that allows you to speak to the TV to ask it to play TV shows, movies, and more. 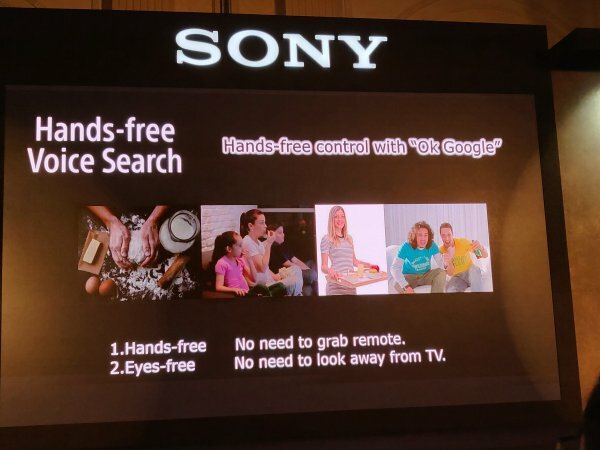 With Android TV Hands-Free Voice Search, one is free of complicated navigation and tiresome typing. It runs on Android TV 8.0 Oreo Operating System and enables one to explore the world of movies, music, photos, games, search, apps and more. It also supports Amazon Alexa. 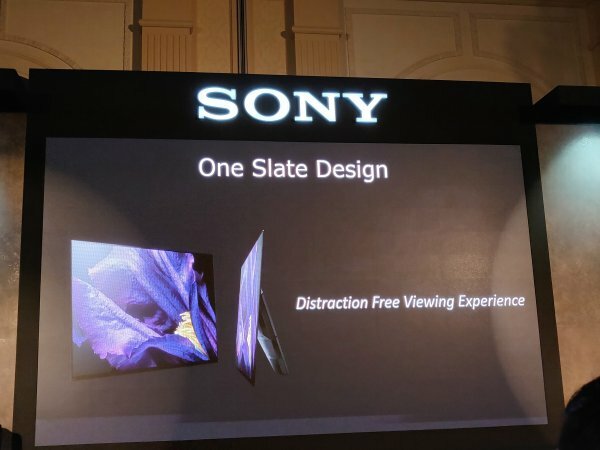 On the design front, the A9F TV has a single slate screen for distraction free viewing experience and with only a stand in the back to hold it up. Its shape and materials are imbued with softness, with a rounded bezel and fabric-covered rear panel. The 55 inch A9F BRAVIA OLED TV is priced Rs. 3,99,990 and 65 inch TV has a price tag of Rs. 5,59,990, It will go on sale in India from 20th September.